Spinzilla will be here before you know it, and if you're planning on spinning with Team Woolery, we've got a few tips to help your hone your skills this month! If you're new to the world of spinning, you might be wondering what type of fibers you should try first. Prepared tops are the easiest to manage, and there are a few breeds we recommend for beginning spinners such as Blue-Face Leicester (BFL), Polwarth and Merino. Experienced spinners may want to try their hand at something new, and we have a new video in our Ask the Woolery series this month showing our easy-to-follow tips for washing raw fleece. 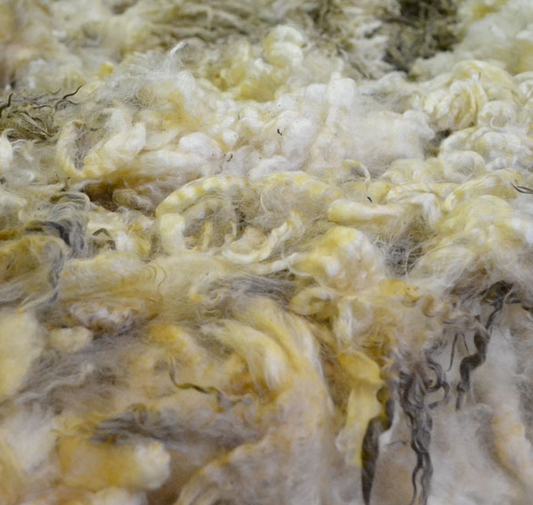 With the abundance of wool festivals and other fibery events this fall, it's a great time to give spinning raw fleece a try! If you have just graduated to wheel spinning, you might be wondering about the differences between single and double drive systems or, similarly, the differences are between Scotch and Irish tension. Have no fear - we explain all in our Ask the Woolery series, or you can click here to read our informational Spinning Wheel page on our website! If you're still getting the hang of wheel spinning, you'll want to spend some time this month getting more familiar with each option to see what works best for you. Another important skill to have is the ability to properly maintain your wheel. This will not only make spinning easier and faster, it will make your investment last longer! You can check your manufacturer's instructions or click here for our maintenance tips here on The Woolery Blog. Before you give your spinning wheel a workout for Spinzilla, you'll want to make sure everything is ship-shape! Finally, all spinners will want to become pros at measuring their yarns since the goal of Spinzilla is to see which team can spin the most yardage. There are several ways to do this: you can use a Niddy Noddy (below is our easy video tutorial), a Yarn Balance (featured last month on our blog) or a yardage counter.